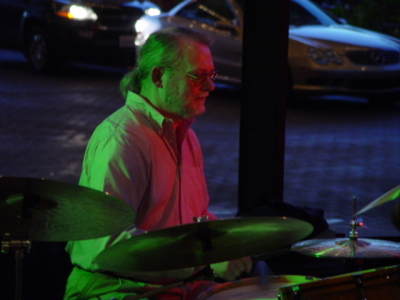 As one of the better known drummers in the Los Angeles area, Dave Ameele led a jazz group from 1990 til his death in October 2007. Featured musicians have included Osama Afifi, Bruce Babad, Greg Eicher, Rick Hanna, Todd Johnson, Larry Koonse, Rob Lockart, Bobby Rodriguez, Bob Sands. Dave had extensive performing and recording experience as a percussionist in Los Angeles, New York City, and Rochester (NY), as well as touring in the U.S., Canada, and Europe. This included performances with P.D.Q. Bach, Tony Bennett, Milton Berle, Larry Elgart Orchestra, and the Four Aces; also touring with musicals "Jacques Brel Is Alive & Well...", "Jesus Christ Superstar", and "West Side Story". He also performed with Gordon Brisker, Vernell Brown, Dave Carpenter, John Chiodini, Jeff Clayton, Chris Conner, Bill Cunliffe, Ed Czach, Jeff D’Angelo, Cathy Segal-Garcia, Biff Hannon, Matt Harris, Trey Henry, Jim Hershman, Don Kasper, Anne King, Teddy Kotick, Marco Mendoza, Michael Moore, Gerry Niewood, Ann Patterson, Chris Pinnick, Bill Reichenbach, Joe Romano, Brian Scanlon, Tierney Sutton, Edmund Velasco, Tom Warrington, Jerry Watts, and Jack Wilkins. Dave was also a music educator with over twenty years of experience as a band director at all levels from elementary school through college, as a private percussion teacher, and as an adjudicator for solo/ensemble and band/orchestra festivals. 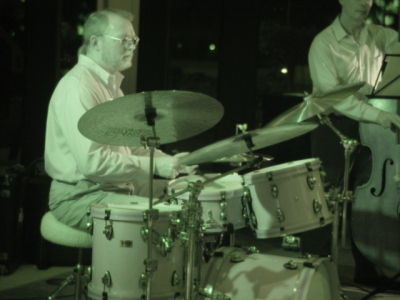 He was an experienced clinician who presented percussion and jazz clinics for school districts and state conferences, and an author of many articles in music education journals. He was also a published composer who wrote in the idioms of jazz, concert band, and solo percussion. He held membership in MENC, NYSSMA, SCSBOA, IAJE, and PAS, serving as an officer for NYSSMA and holding office in state chapters of IAJE and PAS. His student ensembles consistently received excellent and superior ratings, playing music at or above grade level. Professional guest artists presented with school groups included Gene Bertoncini & Michael Moore, Marian McPartland, Gerry Niewood, Ramon Ricker, Bobby Rodriguez, Jeff Richman & Don Kasper, and Bill Watrous. Jazz In The Band Room: professional jazz groups gave performances in an intimate setting for music students (band, choir, dance, guitar classes). Music Day: the school's instrumental and vocal music departments presented an entire day of music assemblies; school groups performed for the entire student body, and guest artists performed for band & choir members and specific groups of classes. MPTF Concerts: Music Performance Trust Fund concert series for Pasadena schools, co-funded by Yamaha Corporation; concerts featured a jazz quintet of Yamaha endorsing artists performing original compositions, presented “in the round” to students in grades 6 - 12. Young Audiences, Inc.: professional percussion ensemble presented assemblies for Rochester (NY) elementary schools. Dave Ameele was born on February 1, 1947 and died on October 1, 2007 of cancer. Dave had a B.M. from SUNY at Potsdam and an M.M. from Manhattan School of Music, with additional graduate studies at Eastman School of Music. He taught in the Rochester (NY) and Los Angeles (CA) areas, including at Anaheim High School. Beside his quick wit and corny jokes, he was known for his collection of 23 snare drums, most of which were antique collectibles. Every drum was completely functional and played often. Dave endorsed Aquarian drum heads and prefered Ayotte drums, Pure Sound snares, Vater sticks, and Bosphorus, Paiste, and Sabian cymbals. Hardware preferences were DW and Yamaha. Contact us about Dave Ameele. © 2004 Dave Ameele. All Rights Reserved.